As you may already know, SEO (Search Engine Optimization) is divided into two main categories namely on-page and off-page optimization. At WebsiteTrafficZ, we do offer both services however giving more value and importance to on-page website optimization as our main traffic target source is search engines traffic. Visitors coming through a web search are more likely to be targeted ones who will eventually be interested in buying your products or services. SEO – Search Engine Optimization, is all the process of researching, analyzing, consulting and selecting what is right and the best for your website to be rank at the top of the search engine result pages (SERP). On-page SEO is all the required tasks that needs to be done on the website to make it search engine friendly, easily index-able especially by the majors; Google, Yahoo and Bing. On-page optimization will normally involve keywords & niche research, competitor analysis, domain name selection, page design/layout & structure, code cleaning, meta tags and content optimization. 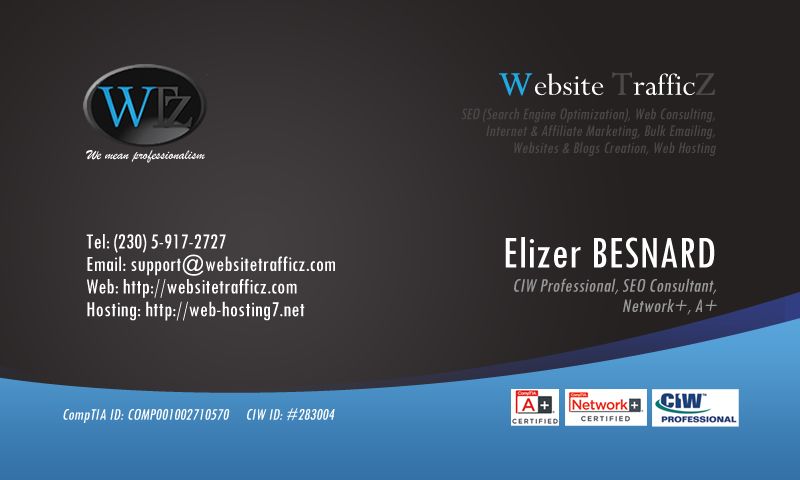 Our on-page optimization service will depend on your actual website that needs to be worked on. This means that we will have to analyze your site before we can determine the amount of work needed and the approximate outcome. In many cases, based on our expertise and quality SEO, we get our clients’ sites to Google first page based on our research and selection of keywords to be targeted.